2002 Successful developed Xbox gamepad and get 3rd party Microsoft approval. 2003 Launched PS2/Wii gamepad and wheel, Xbox DVD kit and memory card. 2004 Developed PC vibration gamepad , Xbox light-gun, Universal 4 in 1 Wheel (PS2/Xbox/GameCube/PC). 2005 Developed wireless 2.4GHz gamepad for Playstation2 and GameCube. 2006 Launched first IC for Xbox360 gamepad with approval by Microsoft. Developed PS3 wired/wireless 2.4G gamepad with Gyroscope and accelerometer solution. 2007 Develop licensed music controller for PS3/Xbox360/Wii. 2012 Developed wireless air mouse support motion game, gesture control, voice features. 2014 Develop Bluetooh2.4GHz Andriod/iOS Gamepad. 2018 Developing Wristband with Heart Rate Monitor, BLE Voice Communication. 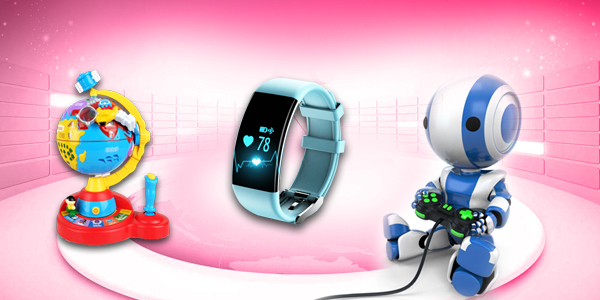 2019 Developing Wristband with Heart Rate Monitor,BLE electronic cigarette, BLE Robot. 1996 Launch Toys with Sound and MIDI MCU Design. 2000 Developed Toy ELA, RF/IR Toy car , ASIC. 2004 16 bits TV game Plug and Play, DSP voice, Color display ELA, Toy Camera, OID. 2008 Remote Toys/Car with RF module (433M, 915M, 2.4G) application, Video Remote car. 2012 Develop iPhone control helicopter, robot Toy. 2014 Develop iPhone control Toy. 2015 Developing 2.4G UFO with local recording, Wifi video, etc. 2018 RF 2.4GHz Control toy, Ultrasonic control toy,Voice recognition toy etc. 2019 RF 2.4GHz Control toy, Ultrasonic control toy,Voice recognition toy, OID etc. Hardware – Circuit design, RF module design, PCB layout, FCC, CE approval. Firmware – 2.4GHz FHSS, USB-IF, Microsoft/PS3/Wii approval. Production – LED tester, PC test program, module testing. Hardware - Circuit design, PCB layout, FCC, CE approval. Production	- Tester, PC test program, Module testing.